The family of a man who died in a fire last year has filed suit against twenty-one Illinois fire departments and two chief officers claiming they failed to effect his rescue. Aric Evan Tashjian McClure died on August 4, 2017 in a fire that trapped him in a second floor apartment in Round Lake, Illinois. He was 33 years old. According to news reports, firefighters responded to the scene just before 5 p.m. and the fire was extinguished by about 8:30 p.m. However, because the building was considered too dangerous to enter, McClure’s body was not recovered until the following morning. McClure’s estate filed the 140-page 52-count complaint in Lake County Circuit Court on August 2, 2018, just before the one year anniversary of the fire. Named in the suit as defendants are twenty-one fire departments, MABAS Division 4, Fire Chief Greg Formica and Fire Marshal Tony Breuscher of the Greater Round Lake Fire Protection District, the building’s owner Scott Gothann, and Gothann’s son-in-law, Matthew Sheppard. Gothann and Sheppard were reportedly were making plumbing repairs to the building when the fire broke out. In violation of and conscious disregard for its basic training and standard operating procedures, with knowledge and information that Plaintiff’s decedent could not be located and more likely than not was still in the Subject Building, this Defendant failed to conduct a search of the entire building before leaving the scene on August 4, 2017. 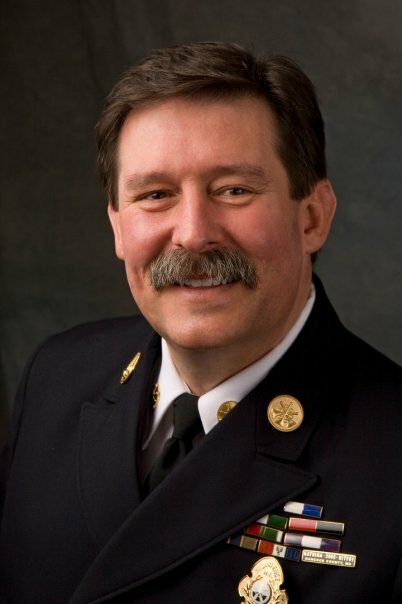 I fully support the courageous work that firefighters do, but we as citizens I believe also have a right to expect that if a building we are in catches fire, that our fire department will come and do its best to try to rescue us from the burning building, not just spray water on the fire, and then go home for the night. Aric McClure’s body was not even discovered until the next morning when the fire department returned to the scene. And that was despite his Mother telling any firefighter who would listen during the fire the night before that she thought her son was still sleeping in his second floor apartment, where she had left him an hour earlier. Incidentally, one of the strongest defenses a fire department would have in a case like this, the public duty doctrine, was eliminated in Illinois in 2016 by what I consider to be a shortsighted decision handed down by the Illinois Supreme Court. Here is more on that decision. Note this is the second fire related suit I located this week naming an Illinois fire department as a defendant over a fire death.